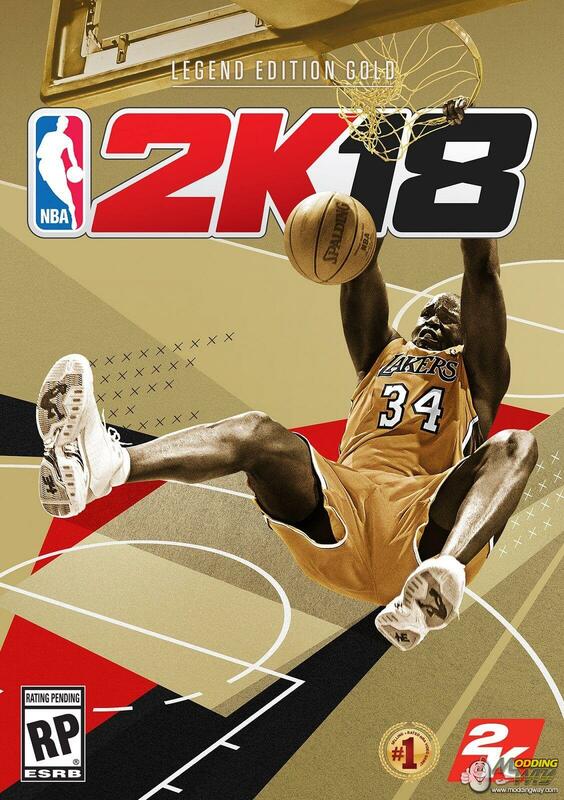 2K announced that NBA 2K will feature Hall of Famer Shaquille O’Neal on the cover of the NBA 2K18 Legend Edition. This special edition of the top-rated NBA video game simulation series for the last 16 years gives the court to the big man who needs no introduction, “The Diesel…The Big Aristotle…Superman…Shaq Daddy…” with special Shaq-themed memorabilia and content, extending his legacy as the most dominant center in NBA history. 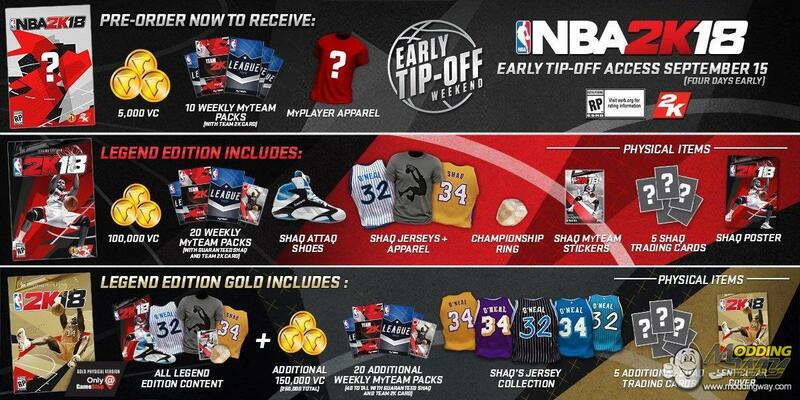 Fans who pre-order the NBA 2K18 Legend Edition and NBA 2K18 Legend Edition Gold at participating North American retail and online vendors receive Early Tip-Off Access, ensuring they receive their copy and in-game bonuses four days early beginning on September 15, 2017. 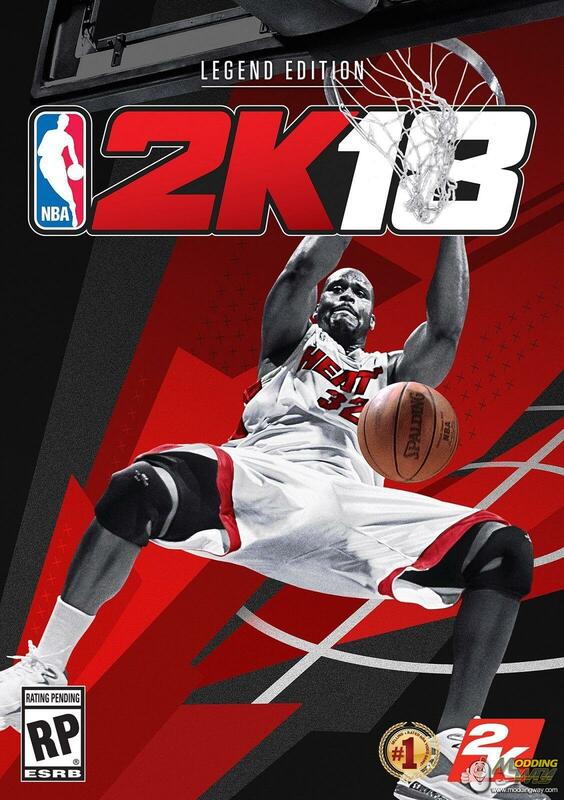 O’Neal’s Legend Edition appearance on NBA 2K18 marks the third NBA 2K cover appearance for the 15-time NBA All-Star and 14-time All-NBA selection. O'Neal, who played 19 NBA seasons, was inducted into the Naismith Memorial Basketball Hall of Fame in 2016. On PC The NBA 2K18 Legend Edition and Legend Edition Gold will be available in both digital and physical formats for $99.99 and $149.99, respectively. Check out at steam page.